Q. How can I find historical Dow Jones Averages? 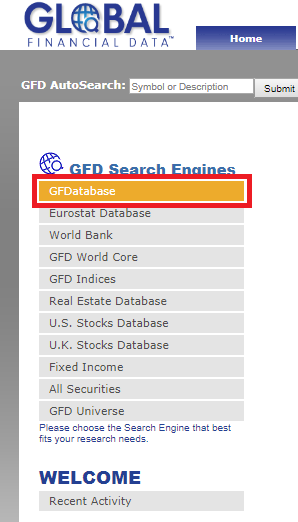 Search the database Global Financial Data by keyword. Click 'Login Anonymously', user name and password are not required. 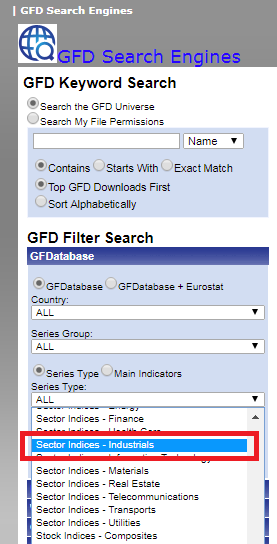 Alternatively, it may be helpful to use the GFD Filter Search box with the "GFDatabase" bar on the left side. Filter for "Sector Indices - Industrials" in the "Series Type" drop-down menu. 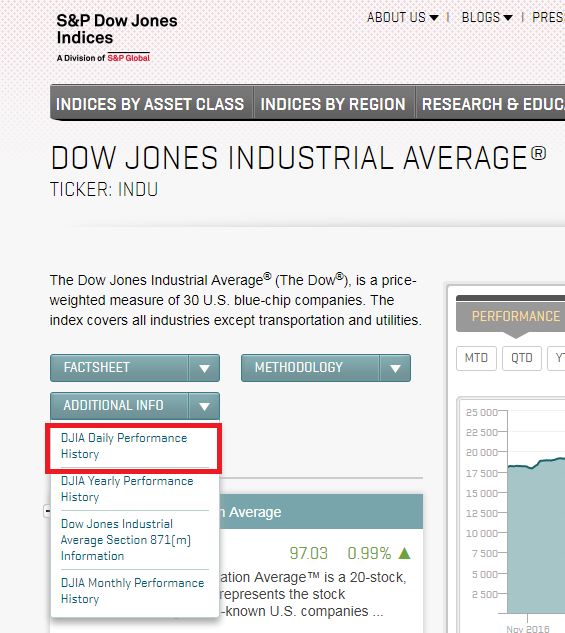 Also, take a look at DOW JONES INDUSTRIAL AVERAGE, click on "Additional Info" button, select DJIA daily performance history.  Business Doctoral Students and Faculty may wish to use the Historical Dow Jones datasets in WRDS.